In tough times we continue the search for good, inexpensive wines. I wrote about Wines of Substance’s Pinot Gris in last month’s Five Under $15. This month I include another bottle from this winery, which is more like a wine from another planet. This is an alien wine. 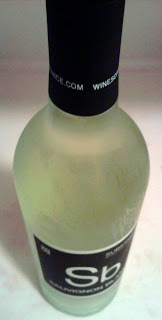 The 2009 Sauvignon Blanc is distinctly green to the eye in both the bottle and glass. I was afraid to turn out the lights for fear that it might glow in the dark. Close your eyes and enjoy this one if you must. It’s a great shellfish wine if ever there were one. Milbrandt Vineyards' Traditions series is dedicated to its value wines. Milbrandt farms thirteen estate vineyards in Washington. These vineyards, which total about 1,600 acres, are concentrated in the Wahluke Slope AVA and the Ancient Lakes, an area that currently has an application for AVA status. How significant a player has Milbrandt become in the Washington wine industry? Milbrandt’s custom crush facility, Wahluke Wine Company, is currently the state’s fourth largest winery in terms of production. Boomtown is a second label for Dusted Valley Vintners. Dusted Valley’s website says, "The four pillars that the Boomtown brand is built upon: 1. Value 2. Vintage 3. Varietal 4. Vivacious Vino." 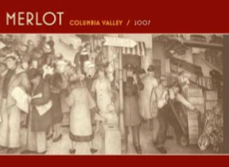 The brand name is a tribute to the booming Washington wine industry. Earlier this year, Dusted Valley received recognition as 'Washington Winery of the Year' by Wine Press Northwest. Grand Estates is Columbia Crest’s second wine tier. The Grand Estates wines are omnipresent, with Columbia Crest making 250,000 cases of the Grand Estates Merlot alone. As with all of the Columbia Crest wines, the Grand Estates bottles consistently outperform their price points. While a solid wine, I didn’t think the 2007 Grand Estates Merlot quite brought the aroma or flavor profile that have made this wine consistently compelling. Read previous Five Under $15s here. Rating: + (Good) Abundant fresh squeezed limes and herbal notes on an aromatic, appealing nose. Screamingly tart – in a good way - on the palate while still displaying a lot of fruit, accented by mineral flavors. Has a slightly bitter note on the finish. 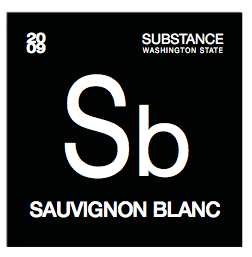 100% Sauvignon Blanc, Minick Vineyard. Aged in 75% stainless steel, 25% neutral French oak. Recommended. Rating: + (Good) Nose shows abundant lime zest, mineral, and green apple. The palate is extremely dry and etched by crisp acidity. 100% Pinot Gris. Evergreen and Ancient Lakes vineyards. Fermented and aged in stainless steel. 13.3% alcohol. 4,424 cases produced. Rating: + (Good) Fairly light in color. Nose is marked by orange rind, licorice, and black cherries. Straight down the fairway on the palate with light fruit and abundant chocolate flavors on a reasonably light bodied wine. Drops off a bit on the last third. 89.3% Cabernet Sauvignon, 6.6% Syrah, 3.2% Grenache, 0.9% Cinsault. Aged in French (70%) and American oak 14.2% alcohol. Rating: + (Good) Nose shows abundant barrel notes of toast, spice, chocolate, and cedar along with red fruit. The palate is silky and light bodied. 78.8% Merlot, 8.8% Malbec, 7.1% Syrah, 5.3% Cabernet Sauvignon. Aged in French, Hungarian, and American oak (50% new). 14.4% alcohol. Rating: ./+ (Decent/Good) A fairly muted nose with dust, red fruit, and light milk chocolate. Light fruit on the palate with a silky layer of mocha flavors. Lacks some of the heft of recent vintages. Thanks Sean. You know I love a good value right now. Still have to drink wine but I have a budget. Shona, I hear you. Five Under $15 may have to become Five Under $5 soon.